Barbecue and Grilling is a common thing around the world, what is not, is the recipes and the foods used. 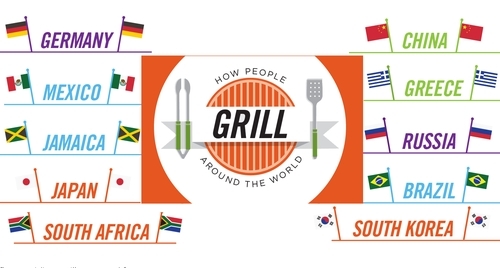 Personalcreations have come up with fantastic and inspiring infographic that includes, 10 of the most popular grilling foods and techniques from around the world, from Brazil to South Korea. Now you can really impress your friends and families on a lovely summer's day. Experiment and enjoy. 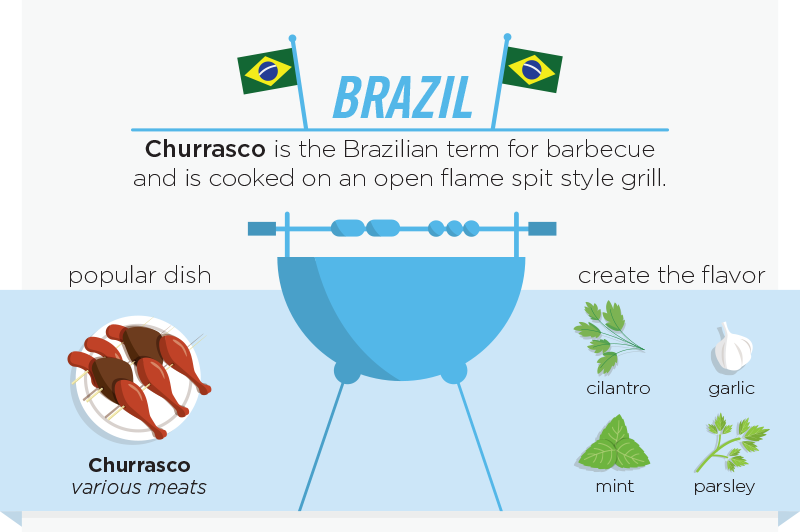 In Brazil it is called, Churrasco. 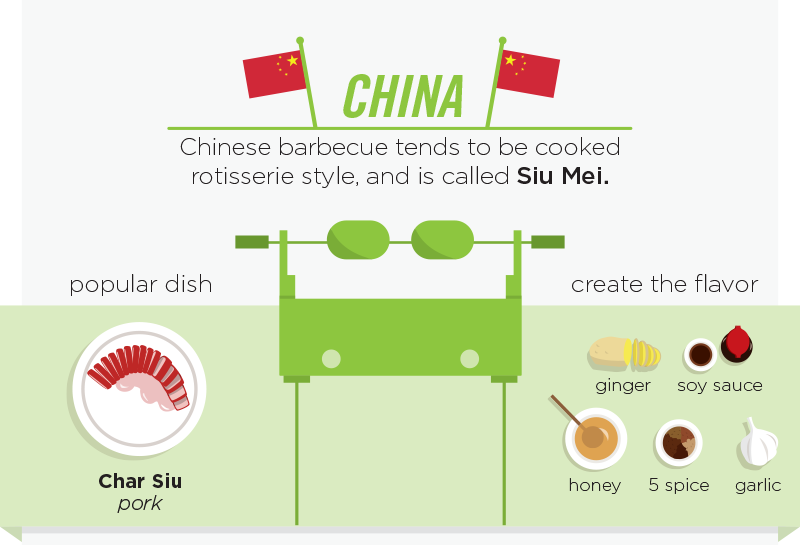 In China it is called, Siu Mei. 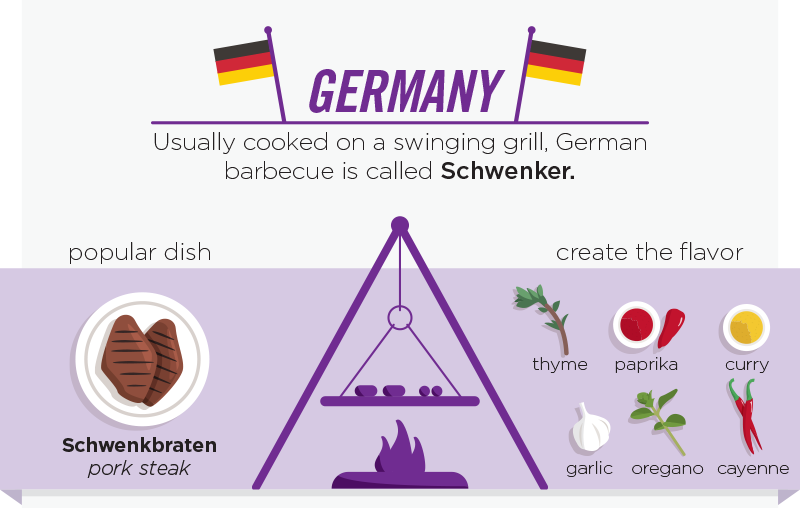 In Germany it is called, Schwenker. 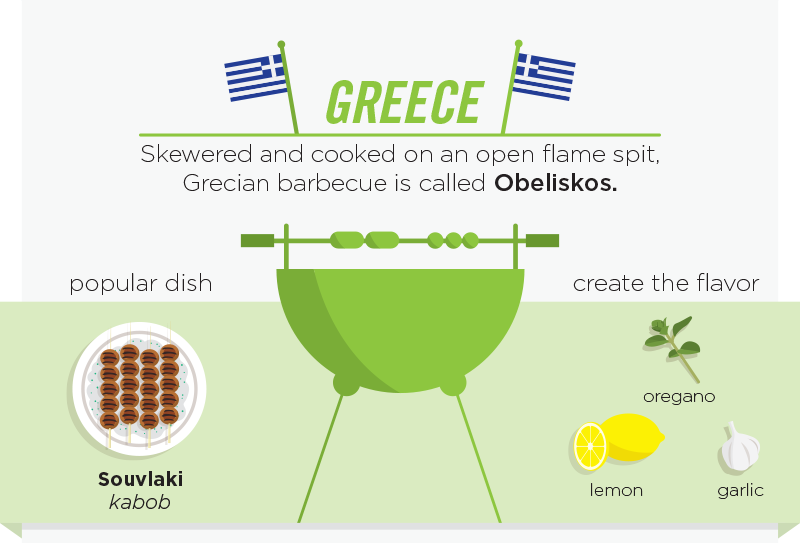 In Greece it is called, Obeliskos. 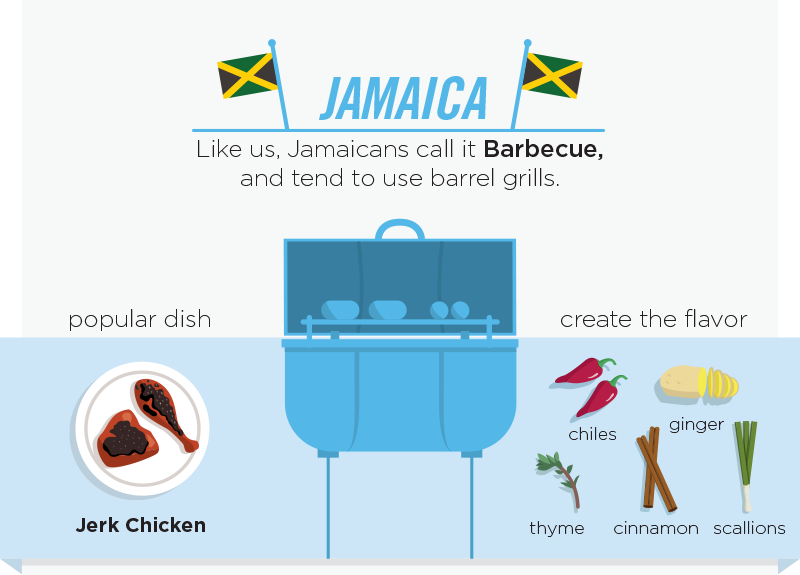 In Jamaica it is called, Barbecue. 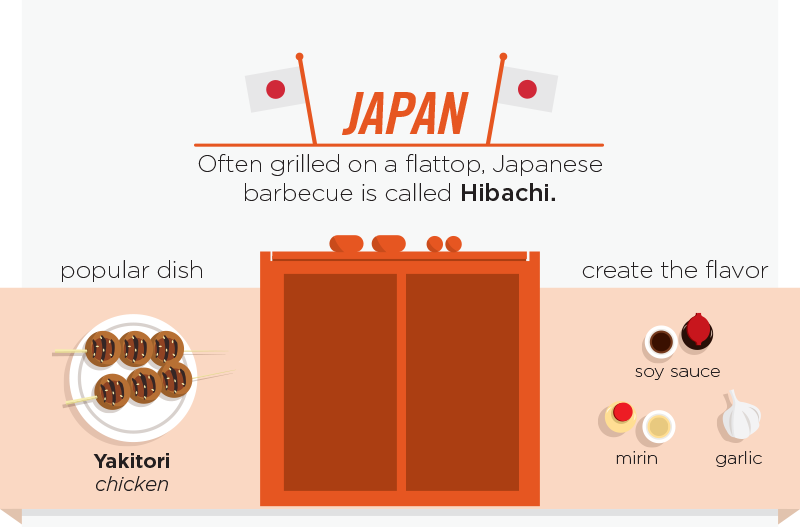 In Japan it is called, Hibachi. 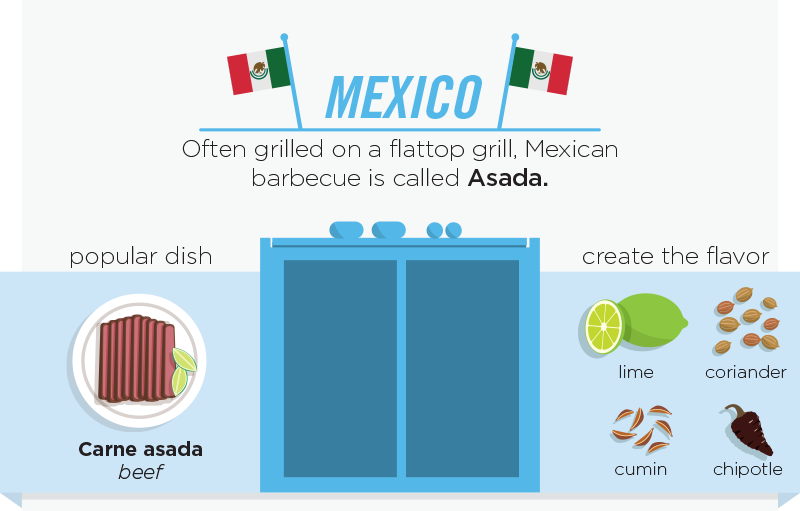 In Mexico it is called, Asada. 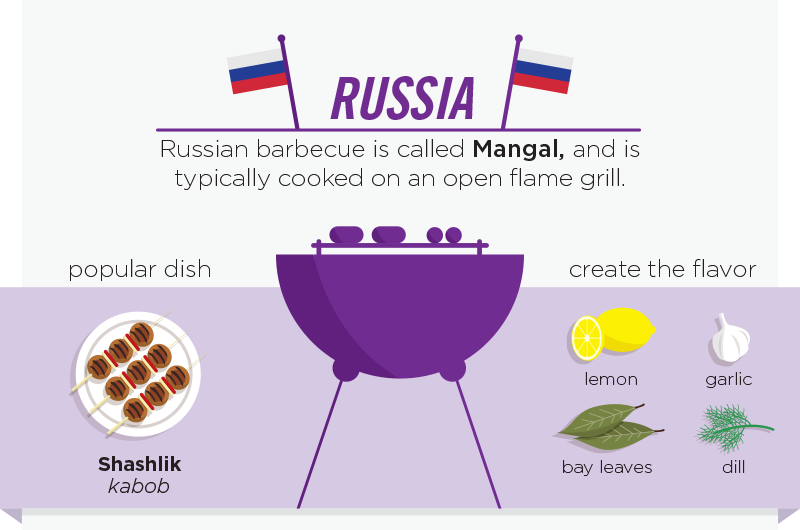 In Russia it is called, Mangal. 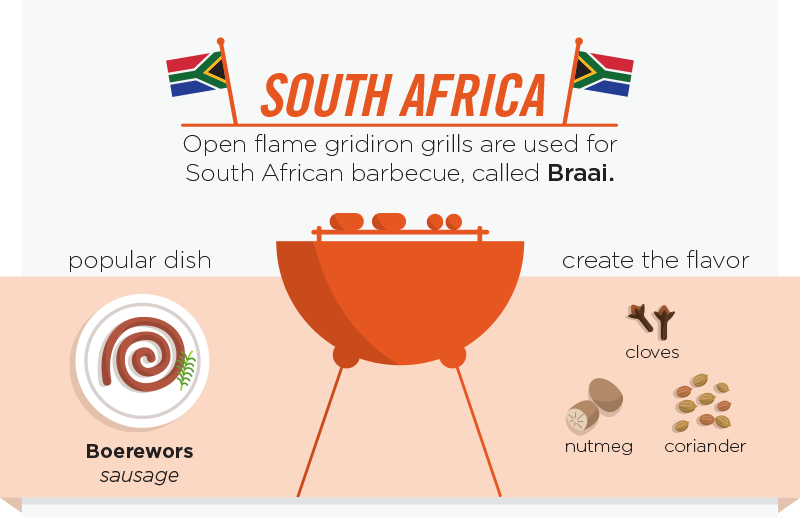 In South Africa it is called, Braai. 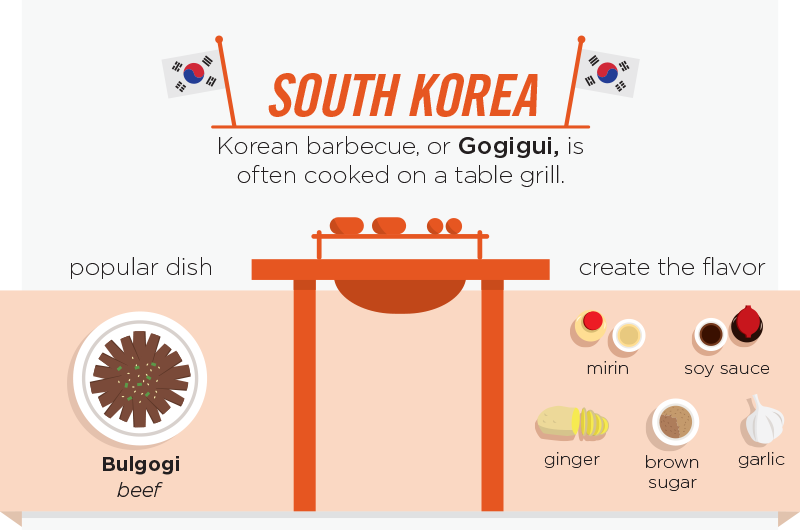 In South Korea it is called, Gogigui.